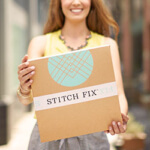 On the list of things you (probably) didn’t know about Stitch Fix is our very own obsession with receiving Fixes. They’re usually shipped to the office & come with a stop-everything-you’re-doing impromptu fashion show. There are “ooohs” and “ahhhs” and sometimes we swap pieces with our coworkers. Truth be told: we live & breathe the Stitch Fix experience. So it’s only fitting that we wear our Stitch Fix pieces to the office & style them in completely different ways. 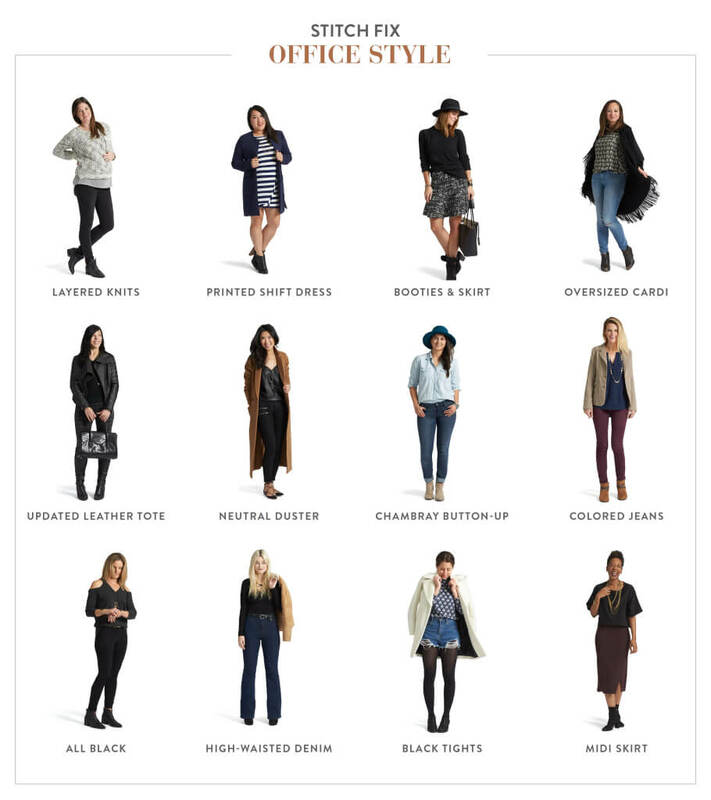 Below are 12 real Stitch Fix employees, with tips to expand your workwear options in 2016. Disclaimer: we’re naturally more casual in our office, but you can translate these tips to even more formal work environments. Alexandra O., Styling Supervisor. Layer on a few loose knits to cover your baby bump. Antonia H., Exclusive Brand Production Assistant. Wear a longer car coat over a shorter, printed dress. Brittany B., Creative Merchandise Manager. Try wearing booties with a skirt & bare legs. Just add a long-sleeved top. Carrie T., Compensation Analyst. Try a classic blouse with an oversized layer, like a fringed cardigan. Ellen B., Head of Product Design. Black-on-black is effortlessly chic. Add faux leather for an edgy work vibe. Jena W., Director of Exclusive Brands. Exaggerated coat lengths, like a timeless duster, add more impact than a blazer. Jocelyn S., Editorial Stylist. Make denim-on-denim your go-to casual Friday ensemble. Kelli J., Customer Experience Lead. Wear burgundy as a neutral & pair it with similar colors: navy, camel & beige. Lisa B., Chief Merchandising Officer. Attempt the cold-shoulder trend with an all-black outfit. Megan F., Recruiting Coordinator. Instead of skinnies, rock high-waisted denim to elongate your legs. Muriel S., Photo Producer. Go ahead—turn your cutoffs into business shorts. Just add black tights & a work-appropriate blouse. Shawna W., Recruiting Coordinator. Midi skirts are chic & classy. Try one with a short front slit.